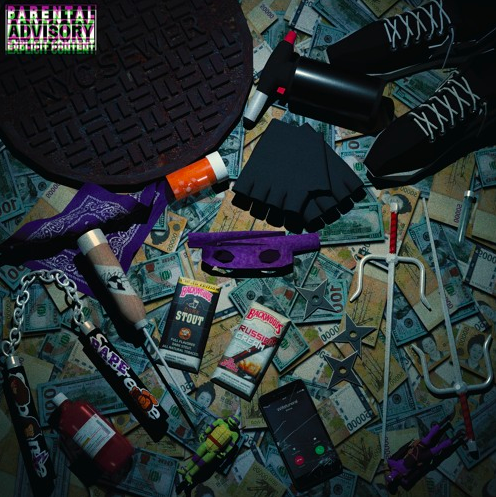 Shortly after announcing his debut EP Born Again releasing on September 28th, Keith Ape has let loose a riveting single from the tape with none other than Wifisfuneral titled, Ninja Turtle. Produced by Working on Dying’s Brandon Finessin, the action starts right away as Ape bodied the opening verse on feeling like a member of the TMNT before Wifi bursts on the scene with charismatic bars on the fakes around him and his notable drip that comes with a pretty penny. Now based in Los Angeles, the South Korean-born Ape is set to embark on 88Rising’s Head In The Clouds tour this month which will see a number of states get to witness the energy on his forthcoming debut. If you happen to get the chance to attend I would certainly take advantage but for now, tune into the latest offering in Ninja Turtle below!